The Life Hope Foundation feels strongly that the success and stability of the world community and marketplace depends largely upon the vision, values, and character of its leaders and people. 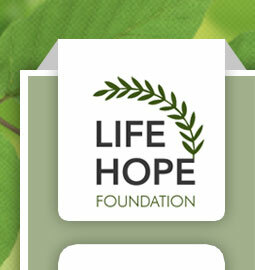 To facilitate the development of these future leaders, the Life Hope Foundation began the Genesis Project. This project makes a measurable difference in the lives of the participants, their families, and communities by providing world-class leadership training based on principles that are right and true. Instruction will be given by the Genesis Project full-time faculty as well as various international public figures who will serve as guest instructors over the two-year period. After the initial two-week session, participants will return home and receive monthly instruction via satellite teleconferencing. They will also work on independent projects in their home area under the supervision of a local mentor and a member of the Genesis Project faculty. After one year, participants will reunite with their group for an additional two-week session to receive additional training and to synergize with the group members. Another year of independent work follows, culminating in a final two-week session.